“The Baby Boomer Wave” refers to a generational wave of people who are just beginning to retire and starting to think about their next move in life. As one of the largest generations of Americans, second only to Millennials, this wave will have a profound impact on the housing stock across the country. 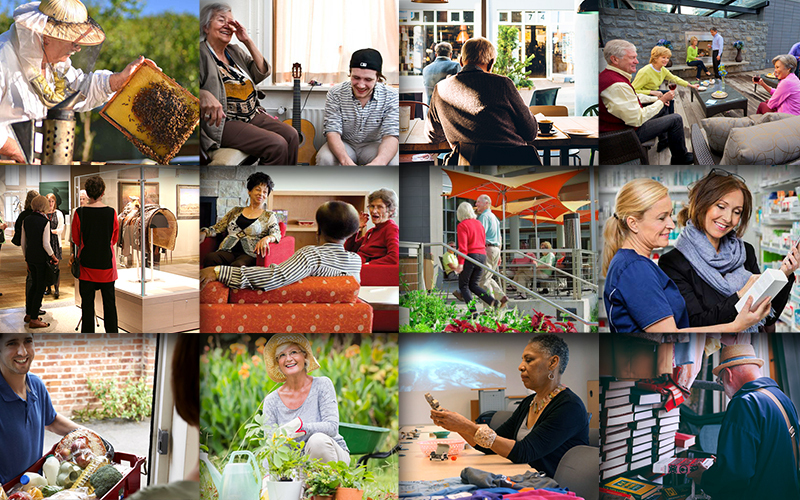 Why Senior Housing? 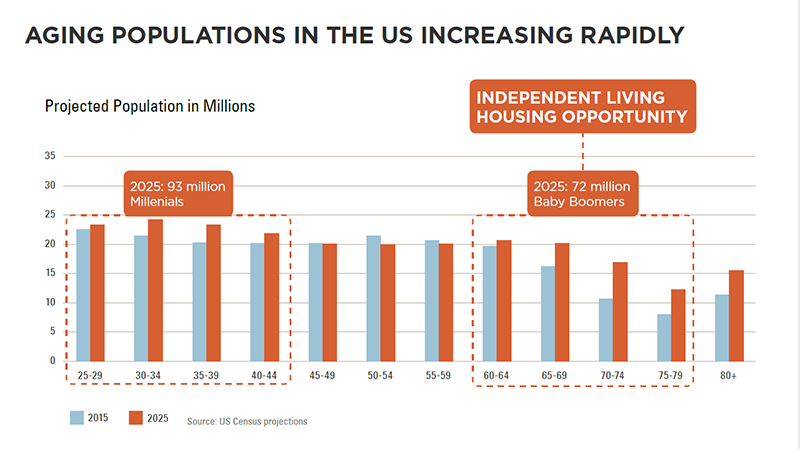 : The Joint Center for Housing Studies at Harvard University states “Over the next twenty years, the population aged 65 and over is expected to grow from 48 million to 79 million.” What can we do as designers to be prepared for this change in demographic needs? How can we provide options for their housing which encourages engagement in urban centers, an ability to stay active as they age, opportunities for lifelong learning and the ability to maintain existing relationships to family and friends while also creating brand new ones? Process: Hickok Cole bench-marked existing models for senior housing in the DC area and is improving the model in new ways to ensure healthy, active seniors stay involved in their communities. We identified a demographic that would prefer to continue living independently and we posit that there is a multifamily building typology and property management model that can thrive within urban centers. 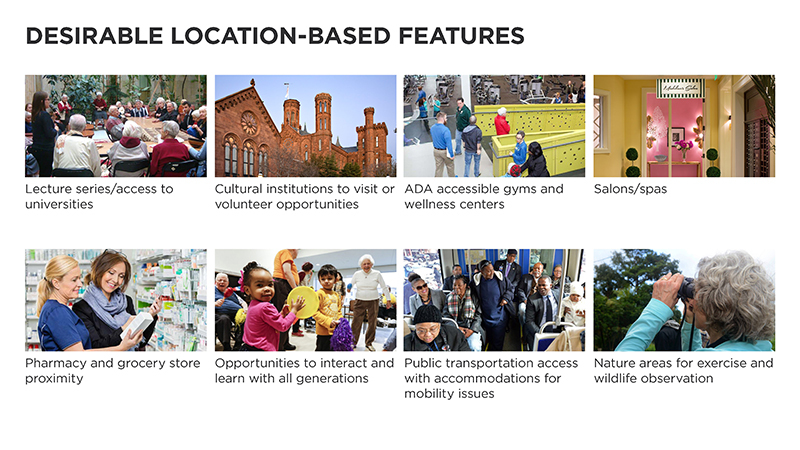 By accessing multiple transportation options, multigenerational programming, proximity to cultural institutions, health services and natural areas, these buildings can enrich people’s lives as they age while capitalizing on the housing development opportunity of a wealthy rent-by-choice demographic. What’s next? : Research is currently on-going and we seek development and operator partnerships.